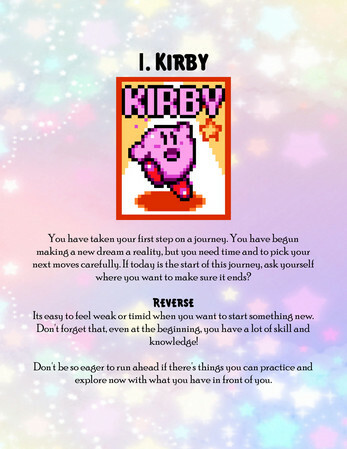 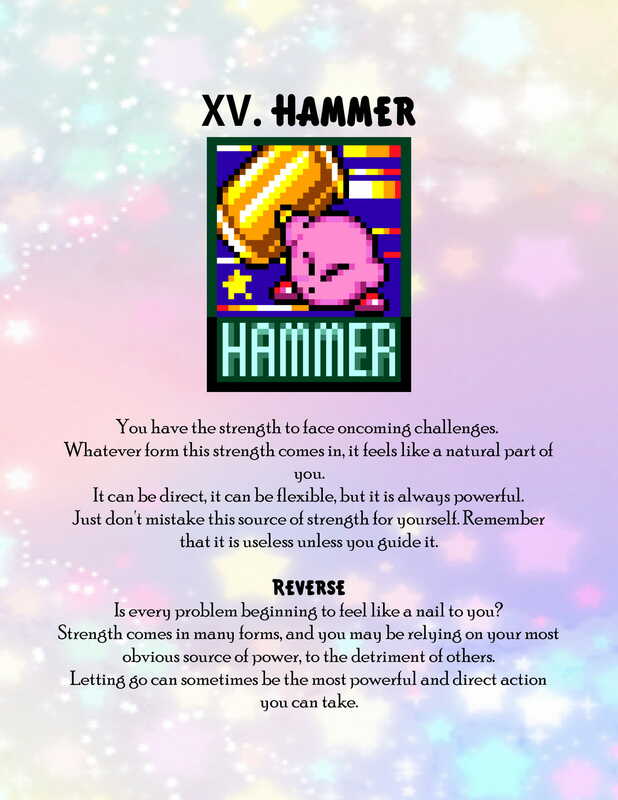 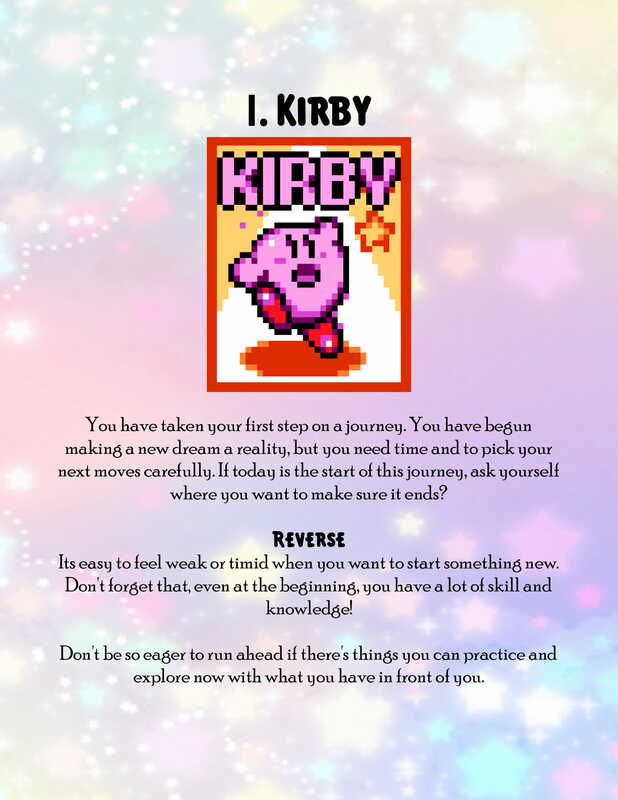 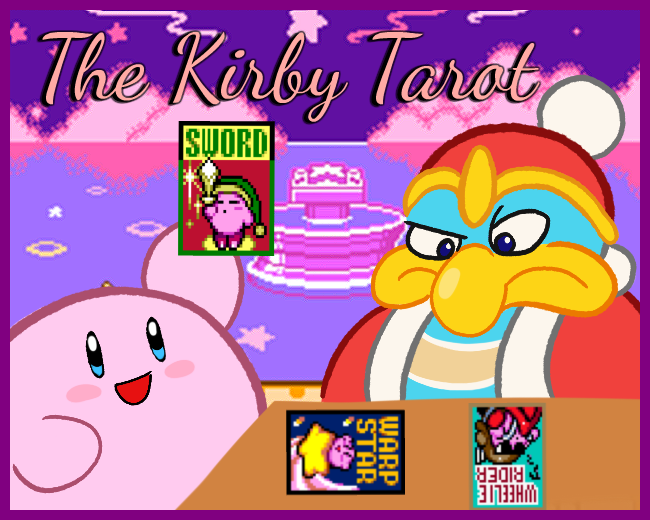 A new system of divination made from Kirby ability icons. 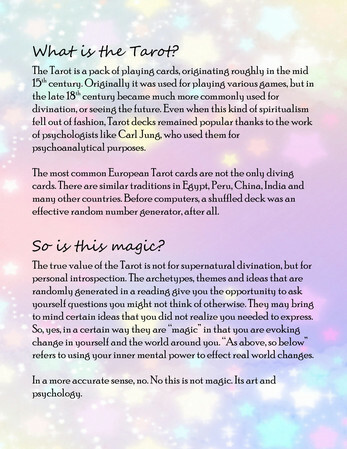 Simply draw a card at random, and ask yourself how its meaning relates to your current environment or goals. 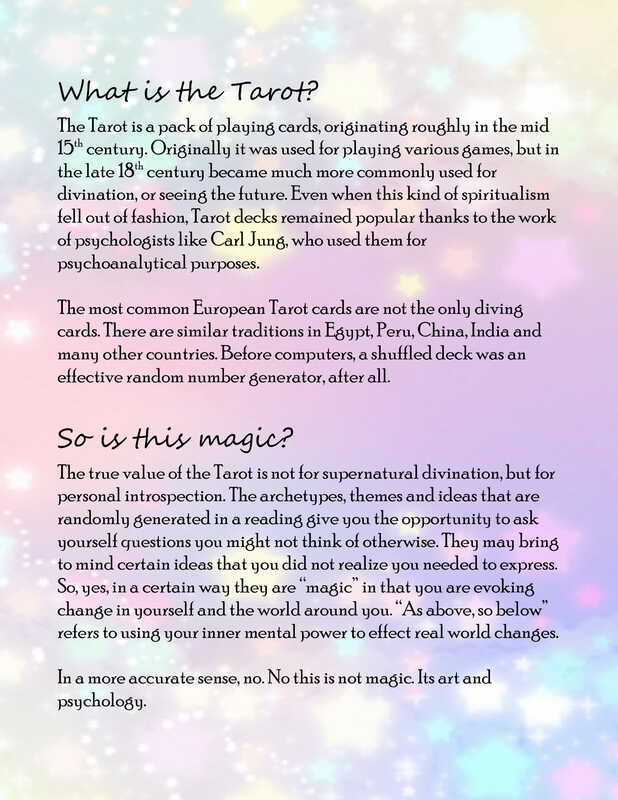 Includes 46 ready-to-print cards and a booklet with information on how to read them.